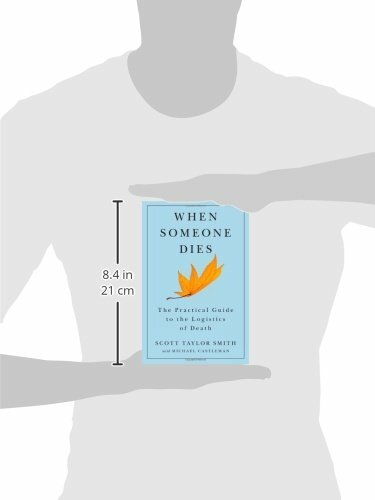 A lawyer and venture capitalist provides a complete, practical guide for dealing with the concrete details surrounding the death of a loved one, from funeral and estate planning to navigating the complexities of online identities. Scott Taylor Smith, a venture capitalist and lawyer, had plentiful resources, and yet after his mother died, he made a series of agonizing and costly mistakes in squaring away her affairs. He could find countless books that dealt with caring for the dying and the emotional fallout of death, but very few that dealt with the logistics. In the aftermath of his mother’s death, Smith decided to write the book he wished he’d had. 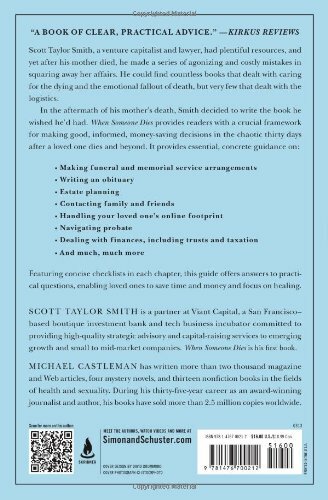 When Someone Dies provides readers with a crucial framework for making good, informed, money-saving decisions in the chaotic thirty days after a loved one dies and beyond. Featuring concise checklists in each chapter, this guide offers answers to practical questions, enabling loved ones to save time and money and focus on healing. 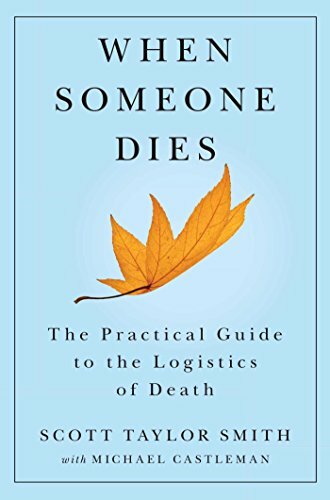 Why We Love This Gift: We love this book because it bravely goes where others don't - into the practical nuts and bolts of death and dying. It does this in a way that threads the needle between practical and compassionate - so that healing can begin. What to Express in Your Card: I am heartbroken for you and thinking daily of [name of deceased.] Please accept this gift along with assurances that I am always happy to do anything I can to assist you in practical ways. I can watch kids, make phone calls. Anything. I'll call you later on today to see what would be most useful.